Isaac Broid studied architecture at the Universidad Iberoamericana and has a master's degree in urban design at the Polytechnic of Oxford, England. He has lectured all over the country and is a member of several editorial boards of architectural journals. He has participated in different exhibitions in Mexico and abroad. Throughout his career he has carried out numerous works, from houses to transport areas or cultural spaces; to mention a few: the Light Rail Line A in Calzada Zaragoza, D.F. in association with Aurelio Nuño and Carlos Mc Oregor; Centro de la Imagen, in Plaza de la Ciudadela, D.F., in association with Architect Zabludowsky; corporate offices TELCEL, D.F. ; Casa Vázquez, Coyoacán., D.F. ; Condominio Ámsterdam 18, Hipódromo Condesa, D.F. ; Rancho Tequisquiapan, Querétaro; Condominio Tlaxcala 190, D.F., in association with Miquel Adrià and Michael Rojkind; Escuela Nacional de Danza Folklórica, D.F. ; Casa Vázquez, Coyoacán, D.F. ; Condominio Ámsterdam 18, Hipódromo Condesa, D.F. ; Rancho Tequisquiapan, Querétaro; Condominio Tlaxcala 190, D.F., in association with Miquel Adrià and Michael Rojkind; Escuela Nacional de Danza Folklórica, D.F. Among the awards and recognitions he has received are: Record Interior Award, granted by the magazine Arquitectura Récord, USA; in 1991 he received the silver medal at the Biennial of Bulgaria and in 2008 he received the gold medal at the Biennial of Architecture in Mexico. 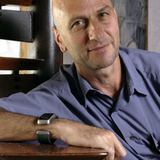 He is a member of the National System of Art Creators since 1999 and a member of the National Academy of Architecture since 2007.